This year Make-A-Wish North Dakota celebrates 30 years of granting wishes to children with critical illnesses. In that time, they’ve been able to help more than 700 children. You can be part of the first celebration event of those 30 years of helping kids and their families when you attend Wine and Wishes. This year’s Wine and Wishes event will be held at the Hilton Garden Inn in Fargo (4351 17th Ave. S.). The evening will include wine pairings with hearty hors d’oeuvres, silent and live auctions and an inspirational wish program that will inspire you! 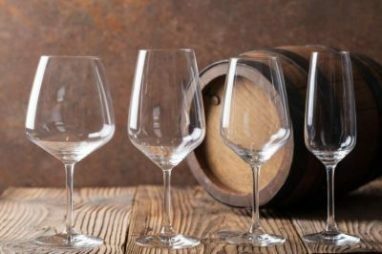 Each guest will receive their own complimentary wine glass to sample the wines hand selected and paired with hors d’oeuvres by the knowledgeable staff at Happy Harry’s Bottle Shop. Sparkling grape juice will be available, as well as a cash bar. In honor of Make-A-Wish North Dakota’s 30th anniversary, Linda Pauling, the mother of the first Wish Kid Chris Greicius, will be the keynote speaker. She will share with the audience how Chris became the inspiration to start the national Make-A-Wish movement. Tickets are $40 and all proceeds benefit Make-A-Wish North Dakota. There are also sponsorship packages available: Wish Enhancer Sponsor ($1,000), Wish Friend Sponsor ($3,000) and Wish Granter Sponsor ($6,000). Tickets and sponsorship packages can be purchased online. When you purchase your tickets online, you can also sign up for the online bidding for the auctions. Check back here on March 23 to preview the auction items for the evening. Did you know that you can donate frequent flier miles to Make-A-Wish? Every mile makes a difference! More than 2.5 billion airline miles are needed to cover every wish that requires travel. Your airline miles can help Wish Kids reach destinations such as Hawaii, Disney World, and Europe. TheÂ Wishes in FlightÂ program accepts frequent flier miles from Delta, United, and U.S. Airways. Learn more about donating your milesÂ here.